During our #DisneyPlanesBloggers press day, we visited Disney Toon Studios and certainly were given quite the treat. Last time I was there, John Lasseter himself came to say hi. 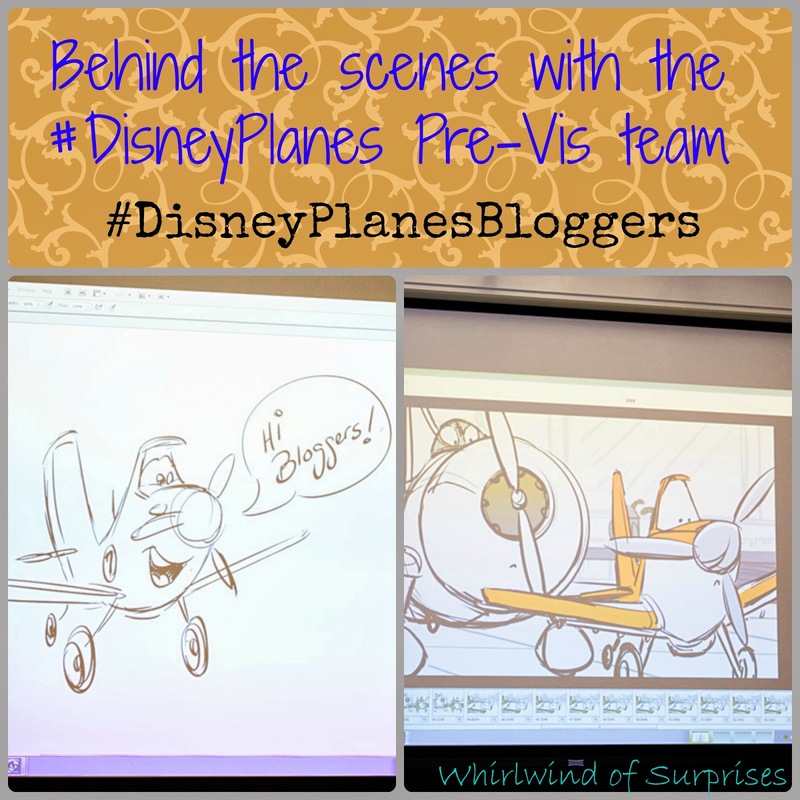 This time, in celebration of National Aviation History Month and the launch of Planes on DVD 11/19/2013, we met a lot of folks that had a hand in beautifully creating the world of Planes. For our first of several posts, we chat about Pre-Vis development with Jason McKinley and Thomas Leavitt. Disney Planes' DVD release comes at such a great time. November is National Aviation History month and it is a month-long celebration of U.S. aviation’s glory and past. The beautiful thing is the educational partnership Disney has with aviation museums across the country. During November, select aviation museums will feature "PLANES"-inspired learning materials, all designed to incorporate fun and learning about flight and the historical figures involved. You can check out the Disney “PLANES” Reel, hosted by ESPN's Colin Cowherd, featuring “Top Ten Flyers,” activity sheets, and more. The neat thing about the Disney is that they love to make things authentic. So even in Pre-Vis, they used people who already had talent and experience with creating shows that involved flying. Jason McKinley had a background in plane TV shows and so their goal was to make the planes as realistic as possible when on the air, but allow the planes to show their character while on the ground. Thomas Leavitt did Rio so he was already well versed in the flying language of how the camera moved with the birds. That really translated well over to the planes project, in terms of how much these planes can bank and roll without looking too fake. There was a challenge in making the planes look realistic on the computer, so Disney Planes needed to utilize a flight team that specialized in flight. What is Pre-Vis? The process of making an animated film is quite complex. So first you've got your script, then there's the storyboard artists, pre-vis editors then take it and edit it into an animatic, a temporary animation in 2D. They edit sequences (anywhere from few seconds to a few minutes long with 20-70 shots) with a rough timing so that they can get a feel of what a sequence will look like. What was important was that they needed to make the planes look real size in order to not have the components look fake. Thomas was saying that they would "set virtual cameras on the computer to see how Dusty would move, like ESPN style," as if they were filming a real race. They came up with a lot of options of how Dusty would make it through that course when Dusty was doing his time trial. Jason was saying that the whole process from board to finals takes about a year per sequence. You really get to appreciate how much work is put into these movies when you see all the efforts and rough drafts that go into it. Disney Planes releases on home DVD Nov 19, 2013. Check out all our current and upcoming posts on the #DeliveryManEvent, #ThorDarkWorldEvent, #DisneyPlanesBloggers press event!